A history of non-Indigenous Australian food told through a garlic lens.The white colonisers of Australia suffered from Alliumphobia, a fear of garlic. Local cooks didn’t touch the stuff and it took 200 years for that fear to lift. This fascinating and at times controversial food history of Australia shows we stubbornly held onto British/Anglo-Celtic assumptions about produce and cooking for a long time, and these fed our views on racial hierarchies and our place in the world. Before Garlic we had meat and potatoes; After Garlic what we ate got much more interesting. But has a national cuisine emerged? What is Australian food culture? This is a book about Australian food. Not the food that European Australians cooked from ingredients they brought with them, but the unique flora and fauna that nourished the Aboriginal peoples of this land for over 50,000 years. It was to try and understand why European Australians have almost entirely rejected these foods for over 200 years that I wrote this book.We celebrate cultural and culinary diversity, yet shun the foods that grew here before white settlers arrived. We love ‘superfoods’ from remote, exotic locations, yet reject those that grow in our own land. We say we revere sustainable local produce, yet ignore Australian native plants and animals that are better for the land than those from Europe.But the tide is turning. European Australians are beginning to accept and love the flavours of our own foods, everything from kangaroo to quandongs, from fresh muntries to the latest addition, the magpie goose.And working with and learning from indigenous Australians, new and sustainable industries growing these foods are taking root around the country.This is a food book that will change the way you look at Australia. “But this isn’t your book!” No, but it’s the third book I’ve done in collaboration with my friend and colleague, Australia’s premier Italian chef, Stefano Manfredi. Steve collected and tested the recipes – wonderful recipes from each of the 20 regions. I wrote the short culinary history of Italy, the introduction to each of the regions and a potted history of Italian food books, beginning with The Life of Luxury by Archestratus, usually dated around 330BCE (Before the Current Era). Archestratus was Greek, but Syracuse, his home town, was in Italy, what was known as Magna Graecia, a spilling into Italy of Greek culture and population. 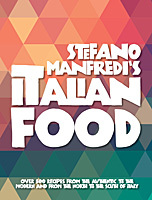 Stefano Manfredi’s Italian Food is an important addition to culinary literature and will, we hope, find a place on that shelf in the kitchen of cookbooks that are used regularly. A Savage History takes the reader on a journey in time and place from the first whale killed in the Pacific in 1798 to the last off the coast of Albany in 1978.It follows whalers around Australia – often ahead of the recognised explorers – across to New Zealand and eventually, with the advent of the exploding harpoon and the factory ship, into the Antarctic.It details the social and industrial history of the whalers and the whaling industry – one of the earliest in the colony and the first in South Australia – and, finally, the gradual change of mind set that moved us from seeing these magnificent, gentle and highly intelligent sea mammals as merely a source of raw materials to recognising that their survival is vitally important for our own relationship with the planet.The whale has much to teach us about ourselves. Good food and good cooking is not about recipes as much as it is about produce This book goes through your larder and your refrigerator item by item and works out how you can distinguish between the good the bad and the ugly. And to understand, source and choose good produce, you need good suppliers. You’ll need to know how to choose them and establish a relationship with them By the time you’ve finished, you’ll have the basic knowledge to look at that recipe and make the right choices of ingredients – and you’ll know where to go to find them. At good newsagents and some book stores. This is a book of the type that used to becalled a miscellany. It rolls up servings of travel with sides of history, a leavening of memoir and a helping of culinary speculation into one shaggy baggy parcel. They feed us, shelter us, clothe us, cure us and clean the air we breathe. This book takes a closer look at some of the plants that we take for granted, and which have changed the world, for better or for worse. 900 Ingredients, 350 classic recipes, 400 cooking terms, 200 techniques, an A-Z guide to food and an indispensable kitchen companion. I wrote and edited this one. A book about a restaurant, the commitment of the people who worked there – for people who love restaurants but perhaps especially for those who want to know how to build one. With Stefano Manfredi. 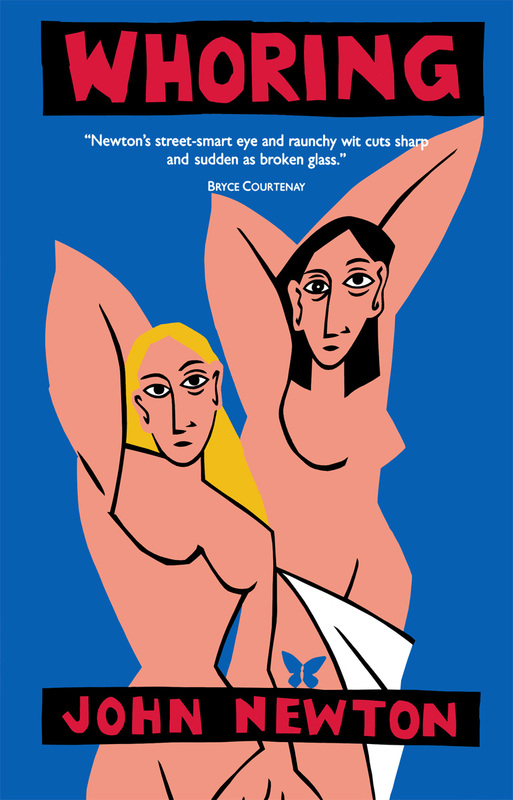 A novel about art, misogyny and Spain that has gathered an underground army of admirers. And, as its writer, I say unreservedly a novel that deserved a wider audience. 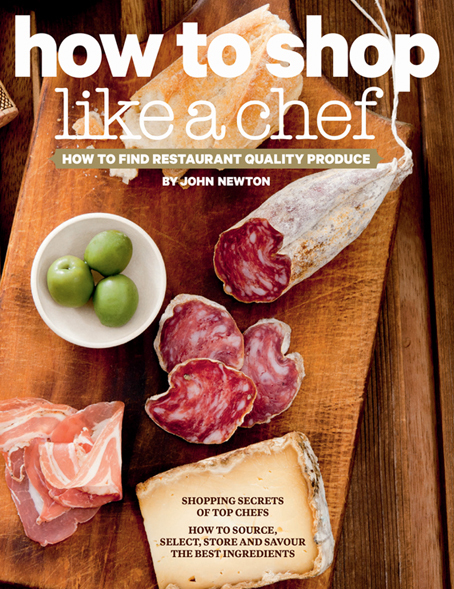 The fourth – and best – of the books about Spanish food I wrote for Murdoch. I wrote the text and advised on the recipes. The best rap I can give it is I use it myself just about every week. The first book I wrote with my friend Stefano Manfredi, the story of his and his family’s journey from Gottolengo in Lombardy to Sydney, and the food they brought with them. A classic. An oral history with recipes, this book tells the stories of the post-war migrants who came, saw and didn’t like what the natives ate, so they bought their own food, and in so doing changed our food habits for ever. Any second generation Wog (consumer of wine, olive oil and garlic) who has a school lunch story will love this book. Dear Mr Newton, I belong to a philosophical society (Rosicrucian Order AMORC). Our activities include presentations and discussions about books. I would like to do a talk based on your book “The roots of civilisation: plants that changed the world” and seek your permission to use your work. We usually have 20 – 25 members attending these talks and we do not charge a fee. I think this must be the best book on plants ever written and I thank you for your work. I came across your book “The Oldest Foods on Earth” last week and was so intrigued with your writing on this particular topic that I couldn’t put the book down. I once attended a cross cultural awareness training session and your book reminded me that during this session, we were able to trial taste lemon myrtle and bush tomatoes which I thought was fascinating and delicious in taste. I do private catering on the side of my day job and I am looking to design a unique menu to showcase creativity and an element of “connecting two worlds” and your book has inspired me to learn more about these native ingredients and bringing it to the taste buds of the world. I look forward to finding some new ingredients and inspiration. Thank you for bringing your knowledge to the wondering book.